can lead to future problems for your home and family. Given how small rodents appear, people usually attempt to handle it themselves which is ill-advised. It’s always better to leave such jobs to the professionals. Rodent exterminators are properly skilled to handle the large task of ridding your home for unwanted intruders. Omsk Hemorrhagic Fever – A virus that is transmitted by rats through direct contact. Salmonellosis – Contracted by rat or mice feces contaminating food and water. Lassa Fever – Dust that has been exposed to virulent urine or droppings can infect your family just by them breathing it in. Anytime rodents make their way inside, your family is at risk. By having a professional come to manage any infestation problems you are protecting your loved ones. From your attic to your walls, nothing is safe from rodents. Squirrels, rats, and mice alike are all only looking for a place to live, but in doing so they can lead a path of destruction. Squirrels repeatedly gnaw on wood in the attic, which can eventually lead to the wearing down of beams that are structurally integral to the house. Wiring is also a favorite for rodents to chew on. Having your wiring nibbled on is dangerous because it can start fires or leave their disease infested corpses to decompose in your home. Their poop also make your insulation no longer salvageable to the point where it all needs to be replaced which is costly. Our extermination services are here to help you with rodent problems. 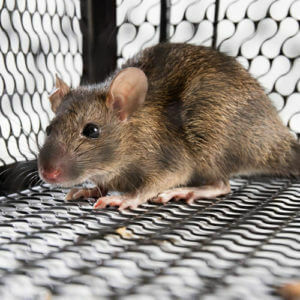 We will help minimize damages caused by intrusive rodents by removing them as humanely as possible. Call us for an estimate over the phone for free at (941) 355-9511.